goSmart Lighting suppliers will undertake to repair any product delivered to you that is faulty or is in a damaged condition. If you wish to return a faulty or damaged product, you must contact goSmart Lighting before returning the goods with proof of purchase. If the product is or becomes faulty within the warranty period, our supplier will repair or replace the product at its discretion. We are not obligated to provide a refund if you change your mind about a particular product that you have purchased. We will meet our obligation to provide a remedy under the Australian Consumer Law. 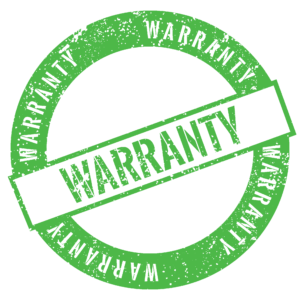 Warranty exclusions include product alterations or modifications, damage of any kind, incorrect installation, surges, power spikes and any other external factors affecting its operation. All installations must be performed in accordance with local, state and Australian Electrical codes of practice. Appropriate regulatory authorities should be contacted where required. All installation matters and failures related to installation matters must be the installers responsibility and will remain so throughout the life of the product. In no event will goSmart Lighting be liable to the purchaser for any damages, including loss of profits, lost savings or any other incidental or consequential damages arising out of the use or inability to use the product or any claim by any other party. All claims are limited to the repair or the replacement of the products only and do not include any labour.